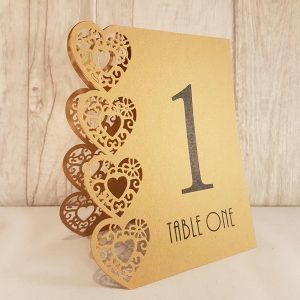 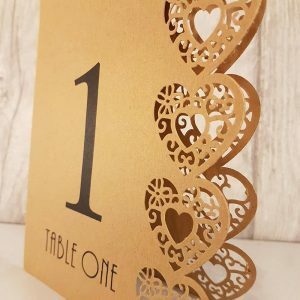 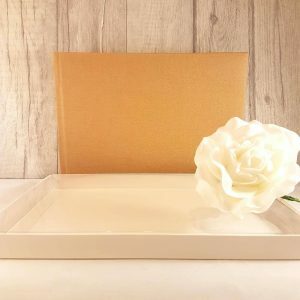 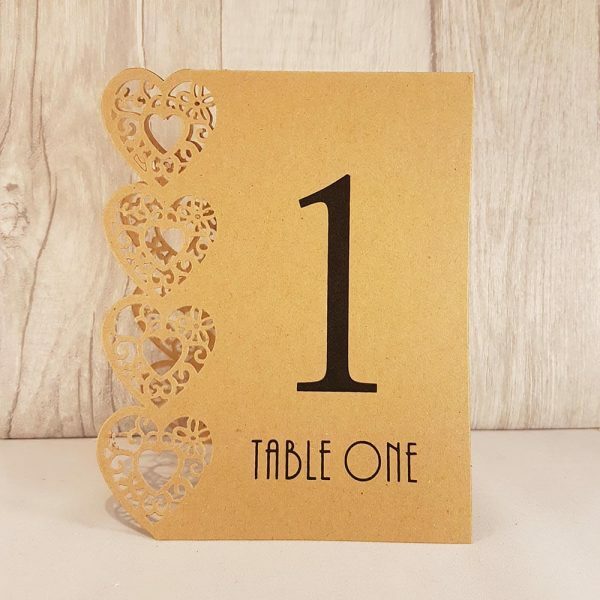 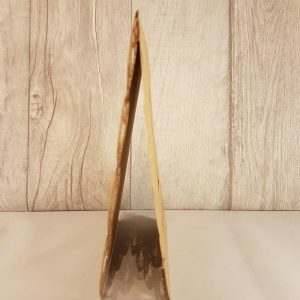 Shabby-Chic Brown Heart Table Numbers. 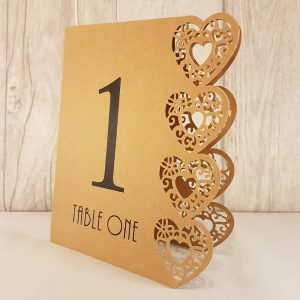 Laser-cut giving a soft but neat heart-shaped edge. Numbered from 1 to 15, there are 15 cards in total. 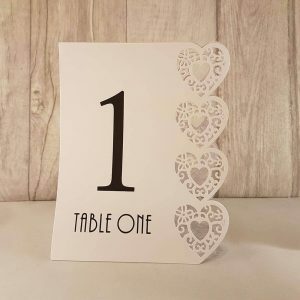 They are double-sided and standalone. 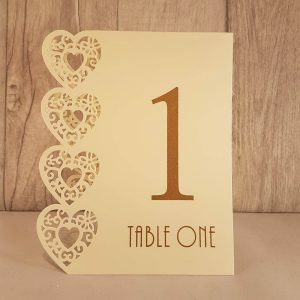 The font colour is black.